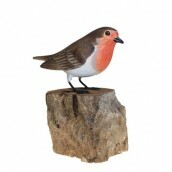 Delightfully elegant wood carvings of Great British Birds. Imported directly from Indonesia and suitable for indoors or outdoors use. 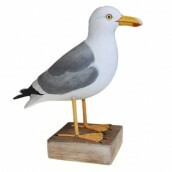 All ornaments are weatherproof and beautifully painted to look as natural as possible. Size: H: 29cm; W: 11cm; D: 25cm; Weight: 500g. Hand carved from sustainable wood. Size: H: 15cm; W: 7cm; D: 10cm; Weight: 215g. 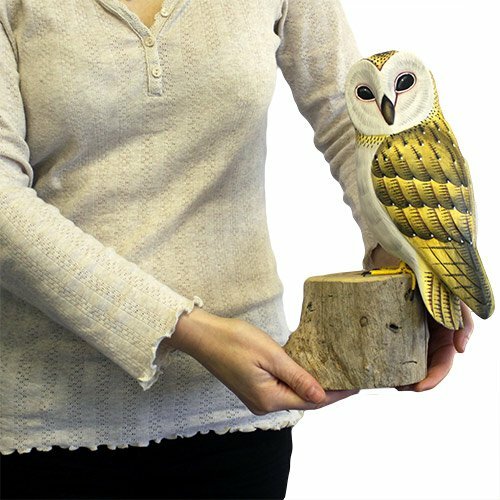 Hand carved from sustainable wood.